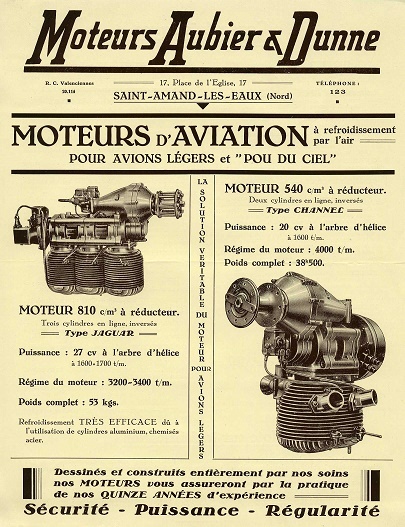 This engine of 540cc, called the Aubier-Dunne “pour Avions légers et pou du ciel”, was soon adopted by many light aircrafts homebuider. 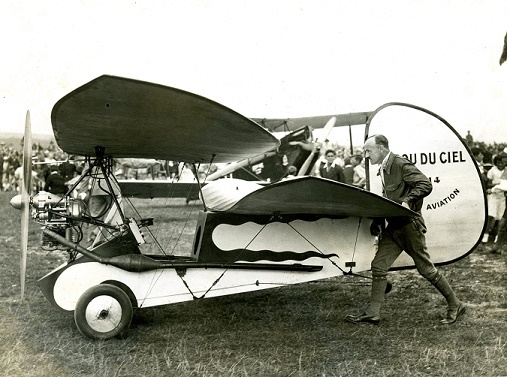 Henri Mignet was invited by the Daily Express newspaper to demonstrate his Flying Flea in England during august 1935. Following the good performances displayed by the Aubier-Dunne engine, it was renamed «Channel». (810 cm3, 27 hp, 53 kg).